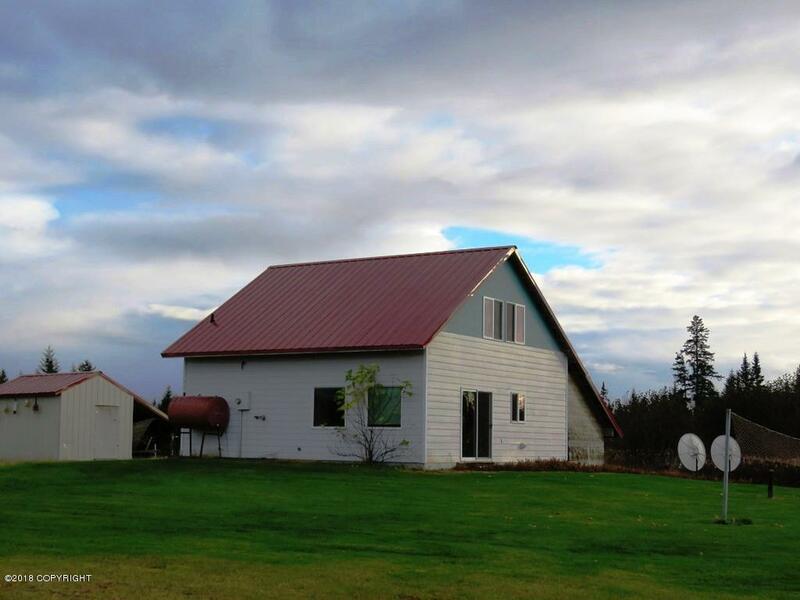 Year Round Vacation is Yours in this Clean 3 Bedroom, 2 Bath Home! If You Like Comfort & Charm You'll Love This Home! Tiled Main Floor with In Floor Heat! Fantastic Views of Inlet Mountains &Sunsets! Beautiful Landscaped Lawn! DEC Septic! Close To Fishing! Gravel Pad in Place Ready For You To Build Your Shop!! Sit Back, Relax & Enjoy the Peace & Serenity this Beautiful Home Has to Offer! 1.76 Acres Hardy Plank Siding w/ plywood under walls & roof Gravel pad with typar was prepped for future shop/garage by Johnson & Son's Construction. Septic is pumped every year Toyo Stove is for back up only.